One of the writers behind Batman vs. Two-Face claims Warner Bros. briefly considered turning Tim Burton’s ill-fated Superman Lives into an animated film. 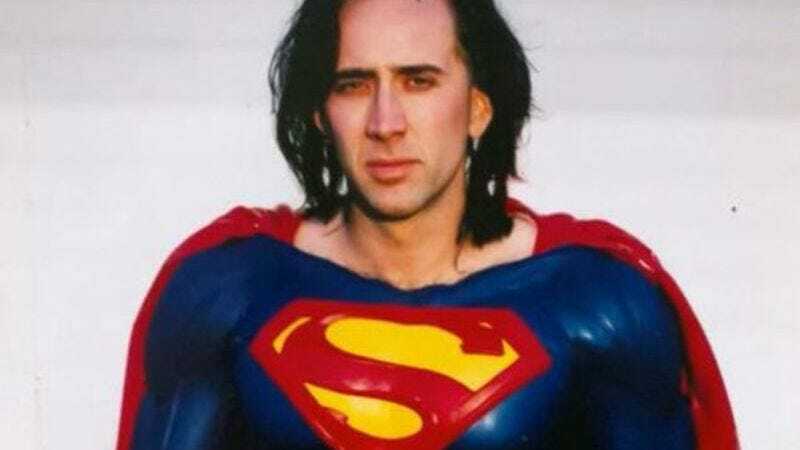 But if Nicolas Cage’s Superman became a reality, would it no longer exist only in our minds? I don’t know if I want to live in a world where I can no longer imagine the greatest superhero film never made. While chatting about Batman vs. Two-Face at New York Comic Con (as reported by Comic Book Resources), co-writer Michael Jelenic shared that he’d once pitched an animated version of Superman Lives, the 1990 Superman film that was to be written by Kevin Smith and directed by Tim Burton.